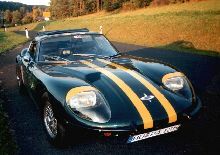 By the late 1960's Marcos had replaced its wooden chassis with a more conventional steel unit. Fortunately it stayed with the original swoopy, aggressive styling which had helped to establish the marque in 1964 and this body-styling remains in production today. Standard mechanical specification now included front disc brakes and an overdrive gearbox. One of the less popular engine options for Marco was the Triumph 2.5 litre (straight) six cylinder engine which was available only for the 1971 model year. 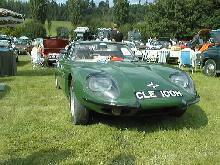 Only 11 Marcos 2.5 litre models were produced and it is unlikely that many have survived today.